When a widower receives notice from a doctor that he doesn't have long left to live, he is struck by the question of who will care for his adult son -- a son whom he fiercely loves, a boy with Down syndrome. With no recourse in mind, and with a desire to see the country on one last trip, the man signs up as a census taker for a mysterious governmental bureau and leaves town with his son. 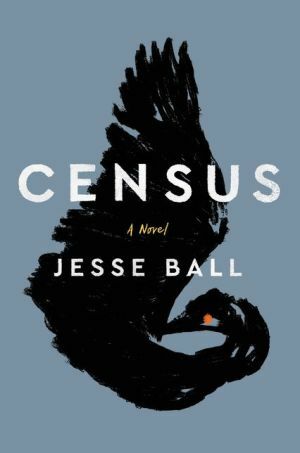 Census is the seventh novel by American poet and author, Jesse Ball. In his introduction, he explains the dedication to his older brother, Abram Ball, who had Down syndrome and died, aged twenty-four, in 1998. The surgeon and his son travel north in their (unnamed) country from City A to the town of Z in their Stafford Carriagecar, taking the Census. There are no quotation marks for speech, which may annoy some readers, although any speech is usually apparent from the context. Similarly, for almost three quarters of the book, characters are not given names, and are distinguished only by descriptors: my wife, my son, a boy, the man, the doctor, an old man. In a way, it reflects on the anonymity of the census and is partly explained by the father’s musings on our desire to name things. Where Ball has the father saying “…we felt lucky to have had him, and lucky to become the ones who were continually with him, caring for him” it could not be clearer that this is what he and his family felt for his brother. This is a wonderfully moving tribute to an obviously loved sibling.